Many people love AA flashlights. Probably, one of your reasons is that AA batteries are more available in stores than AAA batteries or button cells. With that, these reviews will help you pick the best AA flashlights on the market today! Aside from the obvious differences like their sizes, there are subtle differences between the two such as power and current. 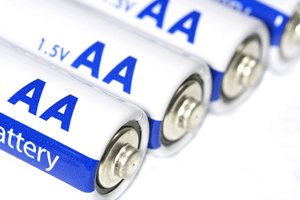 The voltage supplied by both type are the same, but the AA battery delivers more current because it is bigger and wider than the AAA battery. And so, since power has a formula of current multiplied by voltage, the AA batteries if used on a flashlight, delivers a brighter light. Note that the size doesn’t affect the light produced by your flashlight. So, it doesn’t matter if it’s big or small. One thing you should think when picking the size is how often you intend to carry your flashlight. Do you want it EDC or just a backup flashlight? Smaller flashlights are portable and more convenient but could be hard to find in complete darkness. 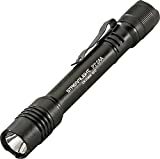 Bigger flashlights are easier to feel around when it’s completely dark but could be bulky to put in a small bag or your pocket. But they tend to be more durable in the long run. For obvious reasons, the flashlight you should be getting isn’t something that would make you think you have wasted money. Flashlights made of plastic are only okay if you use them rarely and if you’re on a tight budget. However, for heavier tasks or tactical use, flashlights made of high-grade aluminum or stainless steel are needed to last long. Depending on how robust the metal is, your flashlight may have water resistance or impact resistance. The brightness of the light produced is measured in lumens. The higher the lumens, the brighter the light is, and it also dictates how far the distance would it be able to reach. The light output also dictates the maximum runtime until your battery life runs out. Most flashlights have a one-button operation that allows you to select different brightness modes in just one click. It’s advantageous if your other hand is busy carrying things because you only need one hand to make the flashlight light up. There are also flashlights that prompt you to twist the head to turn one on/off and quarter turns to toggle between brightness modes. To do so, you will need to have your hands free from any load so that while the hand holds the barrel, the other one will make a twisting motion. This is the distance of how far the light can reach and what kind of beam it has. For example, if your flashlight has high lumens and shorter beam distance, that means that the flashlight uses flood beam. And if the flashlight of the same lumens has a longer beam distance, then it uses a spot beam. Or if the flashlight has lower lumens and longer beam distance, then it’s a spot beam. Another reason to love AA flashlights is that finding a replacement battery won’t be much of a problem. You surely have appliances or machines that already run on AA, which means you can borrow their batteries until you get to buy a new one. In this article, we listed the best AA flashlights you can buy right away. Be sure to check them out. We find ProTac the best choice for a versatile personal flashlight you can bring anywhere inside your bag. Its length makes it portable anywhere albeit not as much as a keychain flashlight. This flashlight’s applications are everywhere. People from law enforcement, security, military, emergency services, outdoor enthusiasts turn to ProTac for illumination in their everyday tasks. We also figured the simple design of the flashlight subtly hints its durability and reliability. To expand it further, the body coated in black is made of anodized aluminum which is the cause of its lightness and impact resistance of up to two meters. There’s an unbreakable clip near the tail end to fasten in your pocket securely. It’s also removable. The flashlight head housing the LED bulb has an anti-roll design for a more secure placement on most surfaces. The O-ring that protects the bulb is a tempered glass resistant to scratches and dents. ProTac uses C4 LED Technology for maximum brightness. Using solid state power regulation, the light output remains to be maximum throughout the battery life. Furthermore, there are three modes to choose from Strobe, High, to Low that you can switch through the button at the tail end. Also, the lifetime of the LED bulb is 50000 hours! This is a guarantee that aside from the aluminum housing, the flashlight will last for a long time. If you hate to switch between many modes in every session, you can program the sequence through the Ten-Tap Programming. 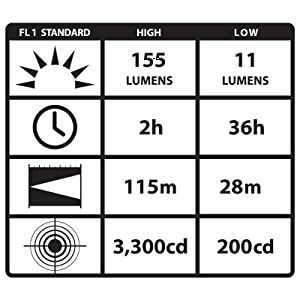 The options are High/Strobe/Low (factory default), High/Low, and High only. Since this flashlight has a ‘maximum light output the battery dies out’ feature, it would be hard to tell if the battery’s need changing or not. There’s no indicator if the battery’s low and could be a problem in tactical situations. ProTac is waterproof with the rating of IPX7 and can be submerged for about 1 meter in 30 minutes and still function properly. When you buy this flashlight, the two alkaline batteries are included with your purchase along with a holster. 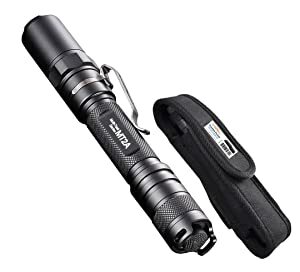 Among all of the flashlights listed in here, this one is the second brightest AA flashlight you can find. 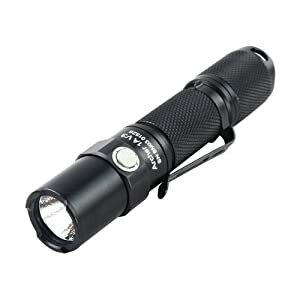 We find the Sunwayman D40A one of those tactical flashlights capable of heavy duty tasks basing from its specs alone. 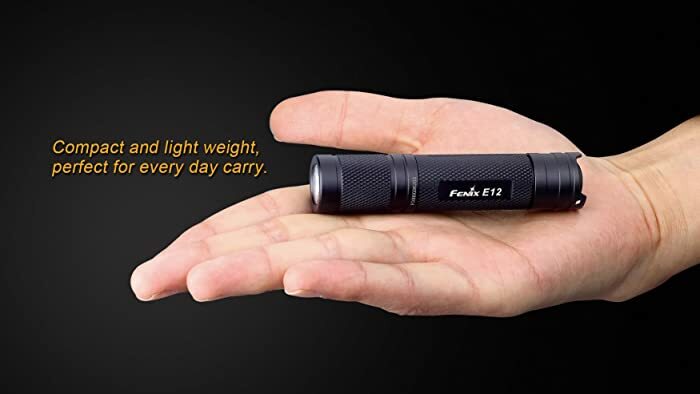 It’s a smaller flashlight but is instead thicker than other regular flashlights. This makes the flashlight compact even in smaller bags. The cylindrical shape is small enough to fit your hand. The exterior of this flashlight is simple and cool. The barrel that is a little bigger than the bezel is made out of high-quality aerospace-grade aluminum alloy while the head is made out of stainless steel. The housing of D40A is waterproof with a rating of IPX8. The O-ring is tempered, and it’s resistant to scratches and dents. By the way, you can make the flashlight stand by its tail just like a candle. Perhaps the main feature of this flashlight is the CREE XM-L2 LED bulb that can last up to 50000 hours. There are four light output modes to choose. 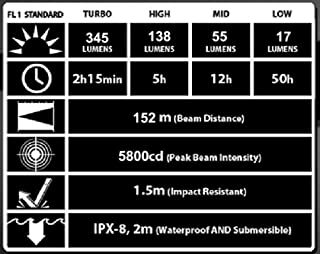 For the turbo mode, the maximum brightness of 980 lumens far exceeds most tactical flashlights on the market. The downside for that is a very short runtime. However the battery life is not exhausted because after the runtime in Turbo mode, the brightness automatically shifts to High mode. Switching from Turbo to Low mode is made easier with the unique dual button side switch system. When you press the on/off button, the program starts with Turbo mode. If you want to change the brightness, just select the M button. The modes have alternate names such as Police Strobe, SOS, Aviation Signal, and Moon Mode. There’s also a Strobe mode you can access by pressing the M button twice no matter what mode you’re currently using (except for lockout). Lock-outing the current light mode works when you hold both M and on/off buttons for two seconds even if the flashlight is off. Unlocking uses the same process. When you buy this flashlight, you get replacement O-rings that might be too thin than the original. The dual buttons are sensitive and can turn on even if you are not touching it. It’s best to put the flashlight in a sheath when you carry it on your person. It’s not recommended to use alkaline batteries because they drain easily due to the high brightness output set by Sunwayman. When you buy D40A by Sunwayman, you get four NiMH batteries, replacement O-rings, a lanyard, and a nylon sheath. The MT stands for Multi-Task Series, and there are two models powered by AA batteries. The other one is MT1A; the digit points to how many batteries are used to power up the flashlight. Nitecore MT2A is a reliable tactical flashlight that you would want to bring anywhere. 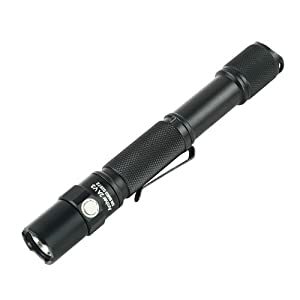 The exterior of this flashlight is high-quality aero grade aluminum alloy all throughout. The head is an ultra-clear mineral glass that has an anti-reflective coating inside that will bring you a powerful beam. The tail end is solid that you can make the flashlight stand by its tail. The flashlight is waterproof (IPX8 rating) and can still function properly after being submerged of about 2 meters. The LED used is CREE XP-G2 R5 that is long-lasting and delivers a maximum brightness of 345 lumens. MT2A has a total of six modes and toggling among them could be a pain and time consuming. The manufacturer made it easier through the rotating bevel. The fully tightened bevel while the power switch is on sets the light in the Turbo Mode that is 345 lumens. Loosening the bevel prompts you to the user-defined modes which are: High, Medium, Low, SOS, and Strobe. When you turn off the switch, there’s no need to turning the bevel upon next usage because the flashlight has a mode memory function. If your last setting is medium, the next time you turn on the flashlight, it is still set to medium. The flashlight’s Turbo mode shouldn’t be used for a long time because it overheats the flashlight, leading to a hot surface. Tail-standing the MT2A can prove to be difficult because there’s are holes for a lanyard. 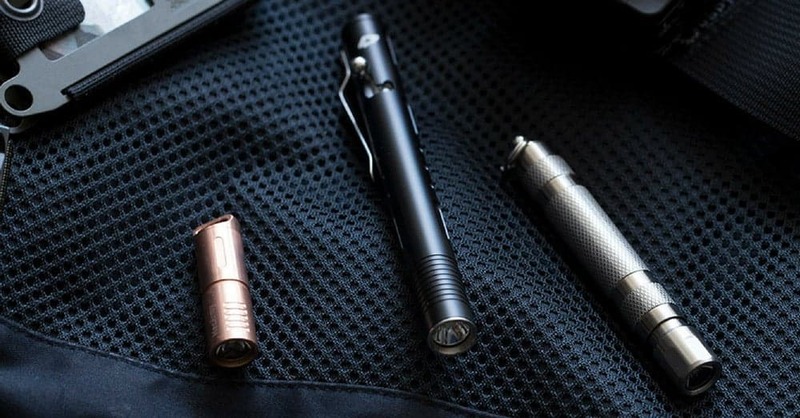 The flashlight is equipped with a non-removable pocket clip that secures your light when you put it in your pocket. You also get a lanyard and a holster. 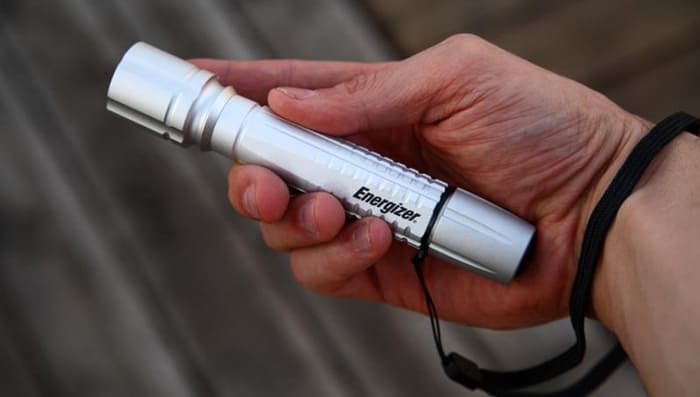 We find this LED flashlight by Energizer perhaps the simplest flashlight you could find. It is for light duty tasks and enough for personal use when you want to walk at night. The flashlight casing comprises of thick aluminum. The material makes the flashlight light and durable. And due to that, it is also waterproof and impact-resistant of about 1 meter. There are also grooves near the head that prevent rolling if you place it on flat surfaces. Also, the knurled barrel makes it easy and natural to your grip. There are no other brightness modes in this flashlight, and that is what makes it very simple and laid-back. The button cased in rubber is found near the tail cap and facilitates only the turning on and off of the light. Not everyone would like Energizer High-Intensity Flashlight especially if you want a flashlight for tactical use. The brightness of 150 lumens may not be enough depending on your line of work. When you buy this flashlight, there’s also a nylon lanyard so you can keep the flashlight around your neck for safe keeping. With a flashlight this small, you can easily consider it as an EDC flashlight. You can cover the entire flashlight with just your palm. From the size, it’s no wonder only one AA battery powers this one. The external housing of Fenix E12 is made out of a high-strength aluminum alloy that is type III hard-anodized. It passed tests to be considered waterproof with a rating of IPX8. The flashlight should function properly after submerging it at a maximum of 2 meters underwater. One more thing is that the tail part of this flashlight is perfectly okay to use as a stand. Fenix E12 is equipped with TIR Lens that places the light of the LED into the focal point of the parabolic lens. This flashlight uses CREE XP-E2 LED with a maximum lifespan of 50000 hours. The digitally regulated output system is enforced. Thus there’s consistent brightness until the end of the battery’s life. The highest brightness for this one is 130 lumens for high mode and can be toggled through the switch for the other two modes. Consequently, the on/off function and modes are on one button, so it would be a repeating cycle every time you start from Low, Medium, and High modes. However, the rubber button switch is slightly recessed, and that’s good if you’re using the flashlight for a moment. Most of you will agree with us that the Fenix E12 should have a feature wherein the last mode that you used before turning the flashlight off will still be the same when you turn it back on. It’s time-consuming to press many times until you get to your desired brightness mode. For instance, you can push the button halfway to illuminate the area, but when you lift your thumb, the light will also go off. To make the light fully on, push the button until you hear a click and release. We figured the V1-PRO is not something you want to underestimate despite its small size. It can deliver bright light which you can see several meters away. Its lightweight design makes it compact and portable to pocket it inside your jeans pocket. The external of V1-PRO is made of aluminum housing that is of high-grade and reliable in most situations. Being a tactical flashlight, the bezel has an unusual design intended for competent striking on your opponent. The barrel has an ergonomic grip because of the ridges and the cooling fins that make the flashlight stay cool despite the long usage at high mode. Perhaps the best selling point of V1-PRO is its brightness at 300 lumens despite being run by a single AA battery. It’s the real deal and exceeds some flashlights that use 2 AA batteries. There’s an option to change the focus of the beam light created by the convex lens through the scalable focus found at the head, and the motion extends the length to about 4.5 inches. The sliding nearer to the tail switch gives a wide beam while sliding it towards the head makes the beam narrower. There are three modes you can toggle the switch that can be found at the tail. The cycle motion for the three modes is separated by the “off” mode. For instance, pressing the switch once and you have the High mode, pressing it again turns off the flashlight, pressing it again switches to the Low mode, and so on. If you’re in a hurry, this flashlight may not be that ideal partner for you because you need to press many times to get to a specific mode. There’s no way to set this flashlight to remember what mode you were using before you turned it off. Another thing is, contrary to the manufacturer’s product information, you don’t want to use the head of the flashlight as a blunt weapon because the flashlight being lightweight and small already, can’t do much damage. More features you don’t want to miss is the belt clip for extra security when you pocket the flashlight and its water resistance rating of IPX4. Maglite Mini PRO is the biggest flashlight featured in this article. Though it may be long at 6.6 inches, its width is only 1 inch which makes the flashlight still compact and not difficult to carry around. The exterior of this flashlight is made of type II anodized aluminum alloy that has the properties of being water resistant. The barrel has a diamond knurl design for the user’s benefit ensuring ergonomic grip. The flashlight is water resistant and appropriate to be used in any working conditions. This should still function properly even if it’s dropped but only to a maximum of only one meter. Maglite Mini PRO uses CREE XPG LED to provide light of up to 272 lumens. There’s no switch or button found on the flashlight, and the way to make it on is by twisting the head. You can also change the focus of the beam to be wide or narrow by turning the head by a quarter. If you want to go to “candle mode”, you can remove the head by turning it considerably until it loosens. 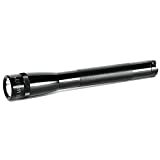 Maglite Mini PRO has only one brightness mode and can be a disadvantage to be used at closer distances. The brightness of 272 lumens proved to cause temporary blinding of human eyes, so don’t point the flashlight directly to other people’s eyes. The flashlight consumes power and becomes hot in a minute. Since the flashlight has only one mode, you may need to bring extra batteries. Mini PRO doesn’t have any switch, and you can’t make it make tail stand since the tail cap is not flat. There is no belt clip, but instead, there are lanyard holes for safer keeping. When you buy this flashlight, you get the accompanying holster. Mini PRO is also compatible with most Maglite accessories which are sold separately. If you want the brightest and the most reliable flashlight you can find, this LED flashlight won’t disappoint you. 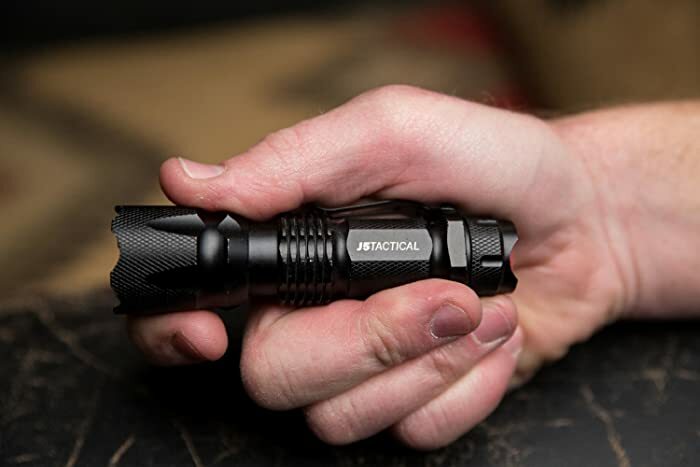 ThruNite TN4A delivers performance exceeding other flashlights in a different way. Starting with the exterior, it is made of type III hard-anodized, an aircraft-grade aluminum alloy that is remarkable to make this flashlight longer-lasting. It has a waterproof rating of IPX8, capable of functioning like normal after being submerged in water of up to 1.5 meters. Furthermore, it has an impressive drop resistance of 2 meters. The lens of this flashlight is aircraft-grade tempered glass that is resistant to scratches or dents. The TN4A uses CREE XP-L V6 LED that gives you the brightest light you could want. It has a maximum lifespan of about 20 years. The brightness it can provide at 1150 lumens is astounding because 4 AA batteries power it. It uses reversed polarity protection system to protect the light from being damaged at high temperatures. 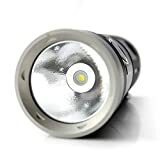 The flashlight enforces the Intelligent Temperature Technology (or ITC) that keeps the battery life long-lasting because it automatically lowers the current used when the temperature reaches more than 80⁰C. There are six brightness modes to choose from through the side switch. It’s easy as long pressing the side switch while it’s on to cycle through Low, Medium, and High. If you want to save power by using Firefly mode, long press the side switch while the flashlight is still off. To use the Turbo mode, press the switch twice in any mode, and another two presses for Strobe mode. You don’t need to repeat the process of getting to your desired brightness mode because TN4A has a memory function for easy access when you’re in a hurry, but only applicable to Low, Medium, and High settings. Another good thing is the power indication which tells you to replace the batteries when the blue light turns to red. TN4A has good qualities and delivers good performance. 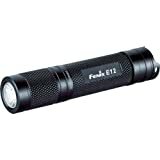 However, this flashlight isn’t compatible with lithium-ion batteries, so you should stick to alkaline and NiMH types. There’s a standby current drain because of the electronic switch. So if you’re not using the flashlight or to prevent accidental activation, it’s recommended to loosen the cap slightly. When you buy this flashlight, there are accompanying accessories such as a lanyard, battery case, holster, and spare O-rings. The name of 1A in the V3 series stands for the number of batteries used to light up the flashlight. So that means that Archer 1A has one battery and Archer 2A has two batteries. Because of its small size and light weight, this is good to be carried everywhere you go. The exterior is made of type III hard-anodized, an aircraft-grade aluminum alloy that has an impact resistance of 1.5 meters. It’s also waterproof up to 1.5 meters having a rating of IPX8. The bezel part of this flashlight has a unique design intended for striking and emergency applications. Furthermore, the handle has a knurl design for an ergonomic grip. Lastly, there’s the tempered glass lens with anti-reflective coating. Archer 1A uses CREE XP-L V6 LED that has an estimated lifespan of 20 years plus. That alone makes the flashlight long-lasting if taken care of properly. By the way, the flashlight uses an orange peel reflector for a higher quality beam. There are five modes that you can access through the tail-end switch. The U-shaped groove prevents accidental activation. The switch has a momentary on feature, so if you want to make the light stay on, press on it until you hear a click sound. To change modes, just press on the button in a sequence of Firefly, Low, Medium, and High. You don’t need to repeat the process the next time you use your flashlight because it can remember the last mode you used and will project that the next time you turn it on. Lastly, 1A has a hidden Strobe mode that you can access by holding the switch. 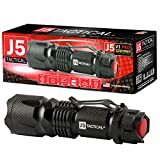 The flashlight has displayed good performance overall, but you can find cheaper flashlights that project brighter light at a lower price than this one. For a safer keeping of your flashlight, if you carry it in your pocket, there’s a removable and reversible pocket clip coated in titanium. When you buy this flashlight, you also get accompanying accessories like a lanyard and a spare O-ring. You can say that this is the better version of Archer 1A and their price differences are not that great. This Archer 2A is bigger, brighter, farther reach, and longer-lasting than 1A, and that’s because of the number of batteries used as power source. Like in Archer 1A, this flashlight uses aircraft-grade aluminum alloy as housing. That has a waterproof rating of IPX8 that makes the flashlight OK after being submerged in water with depth up to 1.5 meters. The impact resistance of 1.5 meters is also the same. Archer 2A also uses orange peel reflector for high-quality beam and reversed polarity protection system that prevents damage to the light when it overheats. The ultra-clear tempered glass is in action to be scratch and dent resistant. Like in Archer 1A, it uses CREE XP-L V6 LED but has a higher brightness at 500 lumens. There are five brightness modes to choose from by pressing the tail-end switch in a sequence. Be aware that there’s a momentary on function in place so if you need to make the light stay on, wait for the audible click. The Strobe mode is hidden and could be accessed by long press of the switch. Accidental activation is prevented because of the U-shaped groove at the tail. In turn, your flashlight will not be able to make a tail stand. This flashlight’s performance is excellent. But you don’t want to use the high mode for a long time, considering it has little runtime. 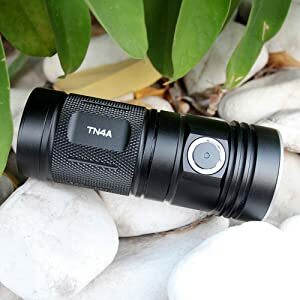 Now that you know the best AA flashlights in the market through our lengthy review and know the factors to consider when you scout for a good flashlight. You’re more than ready to look for one that works best with your responsibilities and preferences! I would not agree with this statement, at all. A general use flashlight is not a tactical flashlight, and it should *never* turn on in anything but the least bright mode. 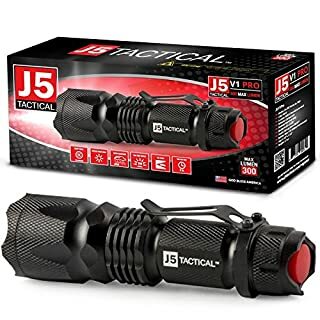 The primary concern for a tactical flashlight is maximum brightness immediately to immediately blind and disorient a target or to illuminate that target for attack. 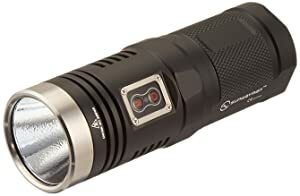 A tactical flashlight should have one mode and one mode only—maximum brightness—and it should have a lock on/lock off feature to preserve maximum battery life and prevent it from being accidentally de-activated if dropped. The primary concern for a general use flashlight should be maximum battery life and avoidance of loss of night vision as much as possible. It should therefore *always* default to the least brightness mode. If it takes a couple of extra presses to get to maximum brightness, who cares? You won’t (or at least shouldn’t ) be using such a tool in a life- or time-critical situation. Most flashlights on the market, both tactical and general use, fail these tests. The Fenix E12 is one of the few that doesn’t.